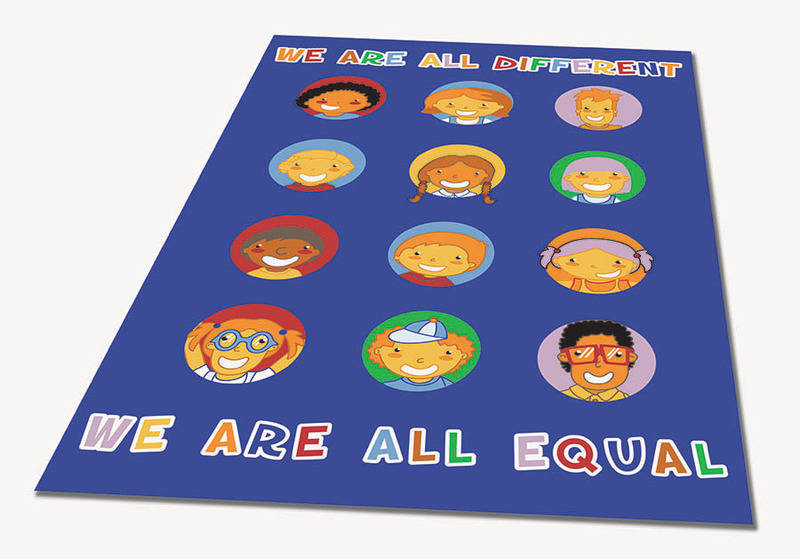 The We Are Equal classroom rug is a fun and interactive educational rug, designed for use in schools, pre-schools and nurseries. A visual way to introduce and support the fact that everyone has varying characteristics which makes everyone different to each other but, very much equal. 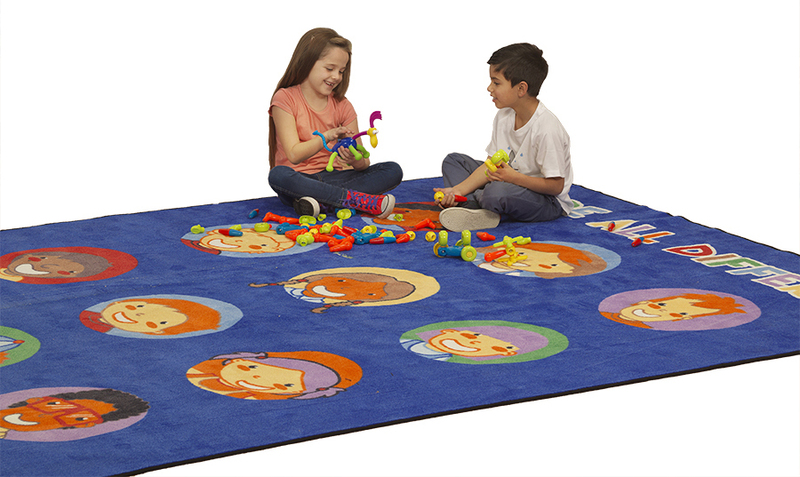 This classroom rug can be used in a cosy corner, play area or classroom reading corner. The cut pile classroom carpet benefits from triple felt backing and double stitching for improved durability. It also has a locked in anti-microbial feature for cleanliness.